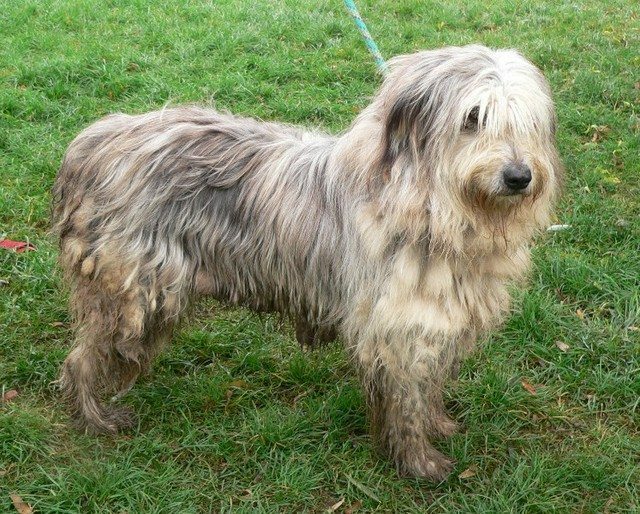 Irma is a 5 to 6 year old beautiful Cross-Breed, about the size of an Old English Sheepdog. 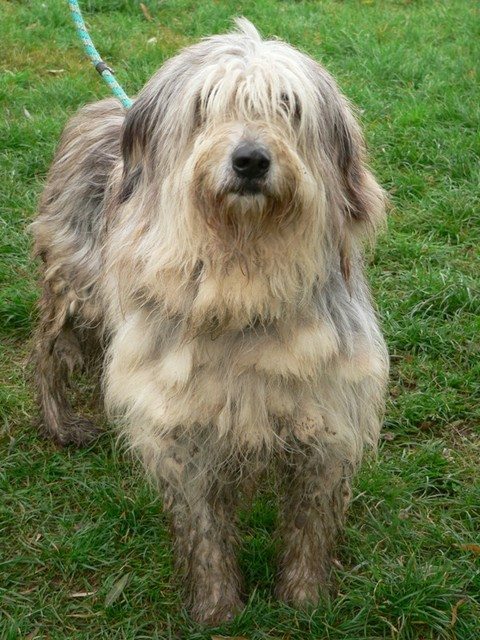 She may have some bearded collie in her by the looks of her hair. She was dropped off at the shelter along with her sibling by their owner a year ago and no one really wanted her ever since. Her hair will need some grooming to keep it in excellent shape but having that, she is going to be a beautiful princess and the pride of her family for sure! She is a very sweet dog who thrives on human company and deserves much more than having to live in a kennel with occasional walks when she could make such a wonderful family dog! She is always ready for cuddles and is very calm when with humans, seeking their love and attention all the time. She would happily be sitting in your lap and be stroked all day if you let her! 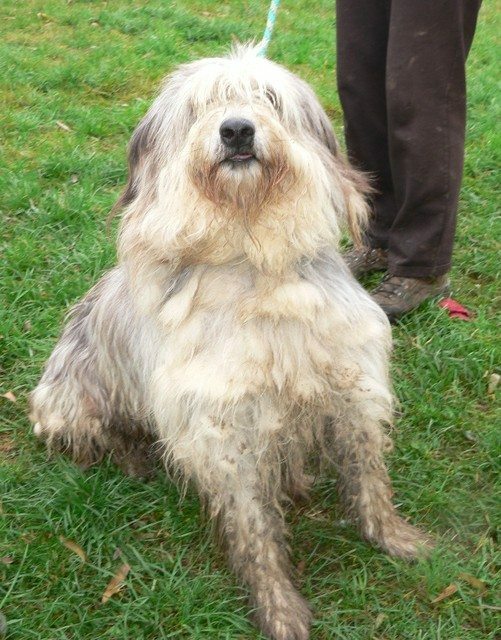 Irma is getting on well with the pack of dogs she spends her days with and she is really friendly with everyone. She does not particularly like being challanged by dominant dogs but she is not aggressive at all and would not attack any dogs. She has also been tested with cats and was friendly with them. She is a sensitive girl who is really in need of a family of her own to find the security she’s been needing for so long. She walks nicely on the lead and cooperating well with her humans. Irma would be best suited for a family without or with children over 10 who could spend precious time with her and who would not leave her alone for long periods. She would be happiest if her family took her with them on nice walks and where ever they can and involved her in family life. 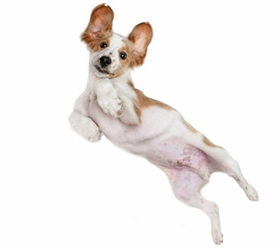 She could live with a friendly dog as she is generally friendly with them, but she would probably be happiest living with her family to care for her only. 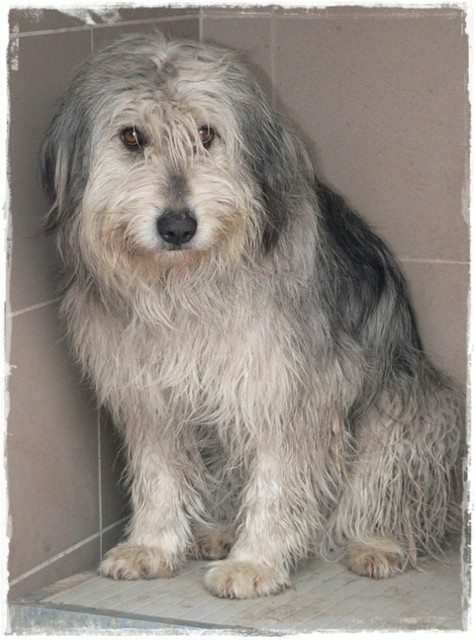 Irma is currently in Hungary and can travel to the UK as soon as the right family’s found for her. She comes fully vaccinated, spayed, microchipped, dewormed, flea and tick treated, with an EU passport and DEFRA approved paperwork.